This post presents a simple way to access Vevo on your Android device and that too without rooting, using proxy servers or VPN's. So all those who want to watch high quality music videos from your favorite artists for free on VEVO (which is a US only site) grab your android powered phones/tablets and follow the steps mentioned below in the post. You may have already Googled for accessing vevo outside US(United States) and then in the results many pages must have told you ways to access it using a proxy or a vpn solution. 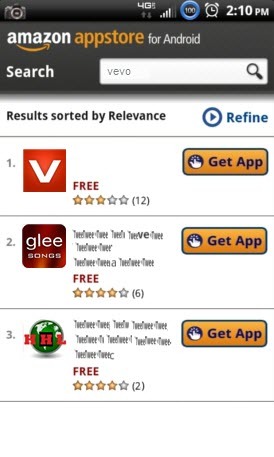 But there are problems in accessing vevo using these ways. First of all using this you will not get your full bandwidth; that means videos will load slowly and with lot of buffer time. Secondly you may get annoying pop-ups and advertisements. So the best way to access is to access vevo is to access it via there servers directly. Using this trick you will not only get access to vevo but will also get updates whenever they update the app. It also saves you from searching the latest app on file sharing sites on which someone may have modified the original app. Follow the steps mentioned below and get your share of vevo fast and that too in HQ. 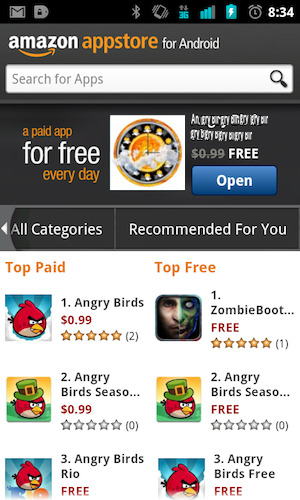 STEP 1: Install Amazon AppStore onto your Android. If you already got it installed onto your device that move to step 2. If you don't know how to do that just follow my earlier blog post How to use amazon appstore outside us and then come back here to know rest of the steps. 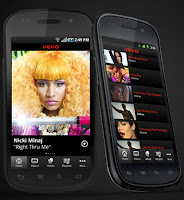 STEP 2: Open Amazon AppStore on your android and search for vevo. Then from the search results tap on Get App button and install it on your device. The vevo app will then get installed on your device. STEP3: Open the installed Vevo app and enjoy your favorite artists on the go! Don't forget to leave comments if this worked (or didn't worked) for you and share this post with your friends!